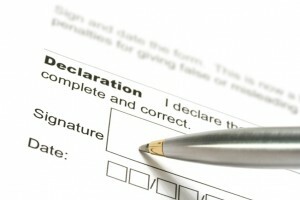 Home · Property Management · Latest News : Whose Credit Check Counts? Q: We’re looking for a place to rent in a tight rental market, and have filled out several rental applications. Each of them asks for a credit-check fee, from $25 to $35, which covers the cost to order a credit report. A: Landlords don’t like to accept applicants’ own copies of their credit reports because they’re afraid that the report may be altered or old (with the issue date changed). That’s a legitimate concern, because sophisticated computer users doubtless have ways to doctor the reports. Because of this concern, there is probably no way to force management companies or landlords to accept your personal copies of your credit report. Unless you live in Wisconsin, that is. And even in Wisconsin, there are some limits on your right to require landlords to take your credit report directly from you, rather than charging you a fee to get it from the credit reporting agencies. Your report must be less than 30 days old, and management doesn’t have to accept it unless you offer it before they ask for it: see Wisconsin Administrative Code Section 134.05(4)(b). The first limitation makes perfect sense — and even a 29-day-old report can miss relevant and new information that a landlord would want to know. But requiring the applicant to offer the report before the landlord asks for it strikes me as a bit odd — it does nothing to discourage tenants from doctoring their reports, which is why most landlords want to get their own copy directly. Laws in many states explicitly forbid landlords from keeping the credit-check fee unless they actually order the report. Even if your state doesn’t have this type of law, it’s probably old-fashioned fraud for landlords to pocket a fee for a task they don’t perform. If you have paid for a credit check but get bounced out of the running based on the landlord’s preliminary review of your application, you should get that fee back.